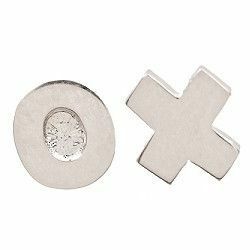 These are the perfect petite earrings for that special someone! The problem with real hugs and kisses is that no one can see the evidence. Not so with these sterling silver pieces. Show the world that you're loved. These are sterling silver post earrings. Proudly made in the USA.